Explore the Breakout Session focus areas by clicking on the tiles below. Click the links below to jump to sessions descriptions. Full Day trainings will occur on Tuesday, March 27 from 9am – 5pm and will cost $40. 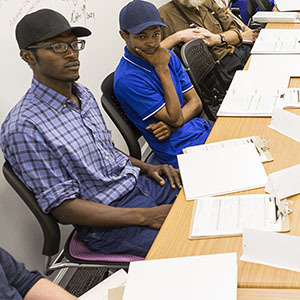 The Partnering for Purpose workshop is free of charge thanks to the WK Kellogg Foundation. Register here! Half Day trainings will occur on Wednesday, March 28 from 8am – 12pm and will cost $25. Register here! 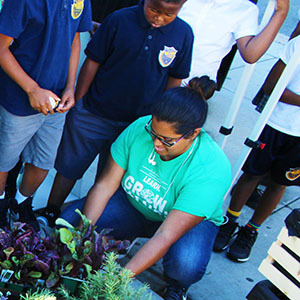 Communities across the country are seeking to improve their vibrancy and vitality through meaningful connections that strengthen food systems, sustain local farms, improve access to healthy food, and increase community prosperity. In this training, you will develop a road map to spur, strengthen, and maintain diverse community engagement for meaningful change. First learn about innovative food system plans at various scales from cities to states. 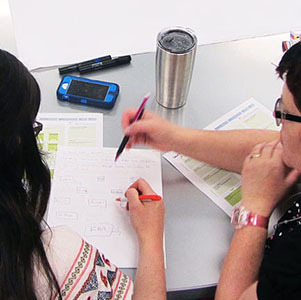 Then facilitators will walk you through the different stages of a food plan including defining the scope, creating a timeline, identifying strategic partnerships, and developing an engagement plan for your own community. You will be provided a workbook with templates and examples which will become your own roadmap. Finally, panelist will share how you shift gears from planning to implementation and provide guidance about the process, tools, funding, and resources that led to successful impact in their own communities. Site Visits will occur on Wednesday, March 28 from 8am – 12pm and will cost $25. Register here! 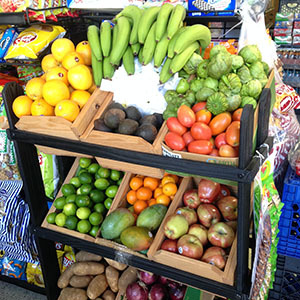 La Montañita Coop (LMC) is a 41-year-old, consumer-owned retailer that specializes in local, sustainably produced food. 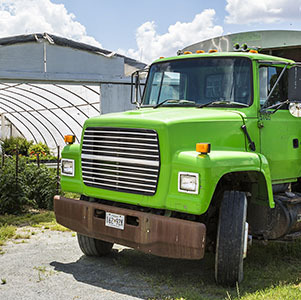 When the availability of local produce began to flatline more than ten years ago, LMC experimented with routing and aggregation, using only a cell phone and rented truck. The coop now operates a self-sustaining, mid-sized distribution center, with nearly $10 million in annual sales. Attendees will learn about the stages of growth and evolution of LMC’s Cooperative Distribution Center, as well as the unique challenges of operating a food hub in a sparsely populated state like New Mexico. They will also learn about the various product lines that LMC has helped to both cultivate and grow beyond their own food hub’s distribution capacities. The Agri-Cultura Network (ACN) is a producer cooperative that provides marketing services to its seven member farms and its network of affiliated growers. 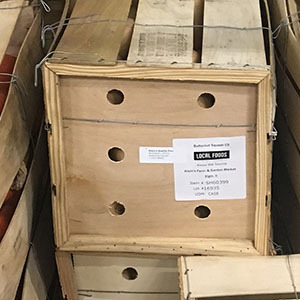 ACN aggregates, washes, packs, and distributes its produce out of a shared, commercial kitchen in the South Valley of Albuquerque to local retailers and restaurants and as part of a subsidized, low-income CSA. This site visit will include discussions with an ACN co-director to learn more about the network’s operations and with representatives from the South Valley Economic Development Center (the shared commercial kitchen where ACN is based) and the American Friends Service Committee (the farmer-training organization that originally incubated ACN) to discuss the various partnerships that have helped to make this small, producer-owned food hub a success. The site visit will also include a stop to one of the nearby ACN member farms. Labatt Food Service is the tenth largest foodservice distributor in the country, serving customers throughout Texas, New Mexico, Oklahoma, and Northern Arizona since 1910. Key to their success is Labatt’s ability to distribute to both large, institutional partners and to smaller, regional groups alike. Labatt further differentiates itself through its commitment to supporting local producers by way of their Native American Beef program, a source-verified product line based on cattle raised exclusively on regional, Native American ranches. Attendees will learn about Labatt’s customer-driven model that continues to inform its efficient operations and systems. Labatt will also discuss the work involved in establishing and growing its Native American Beef program, beginning with the outreach and provision of technical assistance to Native American ranchers through to the finishing, processing, and marketing of a branded, whole carcass meat program. Sweet Grass is a regional, 100% grass-fed grass-finished beef producer cooperative, comprised of ranchers in New Mexico and Colorado that provides marketing services to its members, many of whom are certified organic and all of whom raise their animals in a manner that is good for the land and consistent with the humane treatment of animals. The site visit will take place at Peculiar Farms, a Sweet Grass Coop member located in Los Lunas, New Mexico. Peculiar Farms’ owner has evolved his business over the years to include everything from produce, flowers, eggs, beef, pork, and even an on-farm café and recently served as President of Sweet Grass. 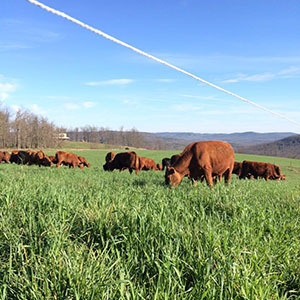 During the site visit, attendees will learn about grass-based ranching in the intermountain West, as well as the successes and challenges of marketing a branded beef program to local New Mexico consumers, and about Peculiar Farms’ experience leading the Sweet Grass Coop. Acequias are a centuries-old, community-operated irrigation system, and are the lifeline for farmers and ranchers in arid climates. Governance over acequias and water rights are a matter of survival for New Mexicans. Thanks to the organizing and outreach efforts of the New Mexico Acequia Association (NMAA) — as well as the 600+ acequias they work with — acequias have become a clear model of equitable community resource management. Attendees will visit Cornelio Candelaria Organics, a local farm and NMAA member to better understand the acequia’s function within a farm’s operations. An NMAA representative will discuss the complex history of water rights and water law in the American Southwest and the current status of acequia governance on a statewide level. Cross-cultural cooperation and coordination have been both central and essential as New Mexicans from a wide range of communities and perspectives focused their efforts on the revitalization of local, regional and traditional food systems. This collaboration has not come easy; the state’s food and agriculture systems have been shaped by its varied geography and bio-regions, forged by a complex history of conquest and colonization and embedded in the rich heritage of Native American, Hispanic, Latino and Anglo cultures. Despite these dynamics of difference, or perhaps because of them, a vibrant and interconnected network of small farms, community-based organizations, food policy councils, retail coops, food businesses and food hubs has emerged across the state, and New Mexico is celebrated nationally for its progressive and collaborative approach to regional value chain development. Through discussion with a diverse group of local leaders who have collaborated across difference to further local and regional food system development, we hope to draw out lessons and inspiration for communities across America. We cannot build sustainable and successful farms, value chains, food enterprises, and social movements without challenging and dismantling systems of injustice and inequity. This conference-wide session, facilitated by Wallace Center staff and friends, will focus on open and honest small-group conversations about how racism and discrimination impact farming and food systems. The session will culminate in a discussion on actionable strategies, tools, and opportunities for individual and organizations to work together to create a more just, equitable, and sustainable food system for all. Bring your knowledge, inspiration, and curiosity to this interactive, peer-to-peer session! This panel will explore how food systems fit into economic development, and vice versa. Growth in the regional food sector is attracting interest from new stakeholders in community and economic development. How do we translate our values and goals into language that is compelling for these new audiences? Can we work together to build larger scale regional food systems that create not just jobs, but resilient and equitable communities? Join us to discuss how new partnerships and creative tactics can build the case for food systems as an economic development strategy. Over the last few years, it’s become apparent that the food hub trend is here to stay. As hubs mature and expand, they are learning to work together all across the country. Food hub networks are gaining ground in Colorado, Michigan, Ohio and more. These partnerships can lead to increased efficiency, shorter supply chains, and a broader range of product, but they present new logistical challenges as well. Join practitioners and hub operators to discuss the opportunities and challenges associated with partnering with other hubs. Since 2013, Michigan State University’s Center for Regional Food Systems has conducted a national survey of Food Hubs with support from the Wallace Center. The 2017 Survey will be officially published April 19th, 2018, but join the authors and contributors to get a sneak peek at the findings of the survey and discuss how the data can help individual hubs optimize and market their businesses. A new initiative of the Wallace Center, the Food Systems Leadership Network aims to support leaders and staff of non-profit, community-based organizations working on food systems change. Come to this facilitated networking session to learn about this new service, map out the specific needs of your organizations, crowd-source resources, and help guide the content and direction of the network. You’ll leave this session with an expanded professional network and a wealth of community-curated resources. Thriving local food systems rely on more than just hard infrastructure to function. They also need soft infrastructure—healthy, transparent relationships–to be sustainable and competitive. Value chain coordinators build this soft infrastructure and can create more robust, efficient and effective regional food systems. Does this sound like you? Come meet other VCCs, including many from USDA’s Food LINC initiative, and a few technical advisors to talk about the challenges, best practices, and opportunities of value chain coordination. Homeplace Under Fire is the story of the front-line, grassroots work of American farm advocates and their 30-year fight to keep family farmers on the land. The Farm Crisis of the 1980s drove hundreds of thousands of family farmers into foreclosure. But out of that crisis arose a legion of farm advocates who refused to stand idly by and watch their way of life be destroyed. The film’s call to action is to honor the farm advocates and call attention to the need for a new generation of farm advocates, because the need for them is greater than ever, particularly in today’s farm economy.